eBay ad designs, Craigslist Ad Designs, and Backpage ads are becoming apart of the future. Words use to describe your product, then a picture gave it a thousand words, and now a video gives it a thousand pictures! eBay Video Ads was designed to help you sell items on eBay. A picture is worth a thousand words, but now with video on eBay, our eBay ads with video are worth a thousand pictures! Starting at $59 and up, Craigslist Ad Designs, now only will leave a lasting impression on your customers, the Craigslist Ad Designs will show up the first page of Google! Check us out today! 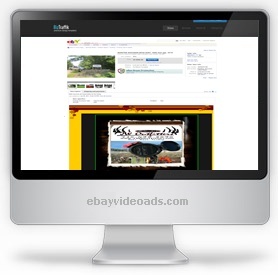 Video Online Marketing for eBay! Selling items on eBay has never been easier! Check our our eBay designs with video to find out how you can sell your items by using video on eBay! 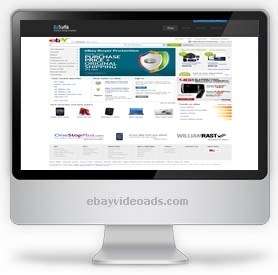 eBay Video Ads is a branch of Craigslistvideoads.com. We are the first video online marketing company to tap into the eBay, Craigslist, and Backpage with our ad designs. We have been designing Craigslist and eBay ads for quite some time and have had major success standing out from the standard eBay templates and selling your products! Our ad designs for well for any listing on eBay. 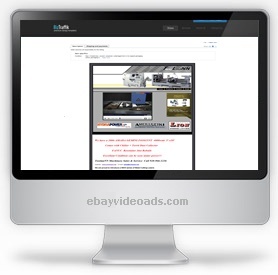 Whether your looking to sell car, boat, or perhaps a coffee mug, you can count on eBay video ads to meet your needs! Our online video ads are only $59. Remember a picture is worth a thousand words, but a video is worth a thousand pictures!